To replace the ageing multi-outlet pumping system. 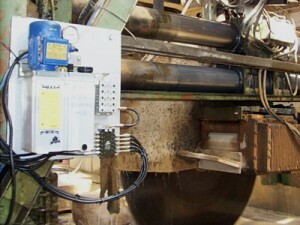 To provide monitoring of the lubricant output. To ensure that the correct volumes of lubricant are supplied to the respective bearings. 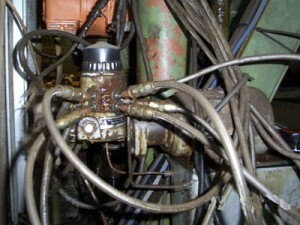 To provide rugged components to ensure the longevity of the new installation. To provide a neat and tidy installation. To replace the multi-outlet pumping system, with a single line progressive system. A compact pumping station with new oil reservoir, with low level monitoring. Use of a primary progressive divider block, with output monitoring, via a proximity switch and pump pressure gauge. Dedicated control system, including system monitoring and fault output signalling. Modern high pressure flexible hosing for the bearing supply lines, with corrosion resistant fittings.